It sounds like we're making it up, right? One single change and a client's AdWords conversions suddenly increase exponentially - well, it really happened! We're going to walk you through our thought process, experiment, and take a deeper look at the crazy results. But, before we get into the specifics and provide Google AdWords tips - let's chat about two topics of interest that brought this case study to fruition. If you haven't run an experiment in AdWords, then your PPC AdWords management skills are about to drastically increase. Rather than making several educated decisions in your account throughout the span of a campaign and trying to decipher which change is responsible for making a dip or spike in your conversions, you should focus on experimenting one single change at a time so the correlation is clear. AdWords enables PPC managers to create an experiment, allocate the split budget for the test and original campaign (50/50 budget recommended), and set a duration of time. You can check on your experiment during the duration of the test and either apply the changes to the original campaign or discard them if you didn't see much success. Last May, AdWords released a new smart bidding method (Maximize Conversions) that is fully automated (hallelujah), so we had to test if the hype was real. This automated bidding method prioritizes getting the most amount of conversions possible while using the entire daily budget and determines when to bid up or down based on historical data in your account. 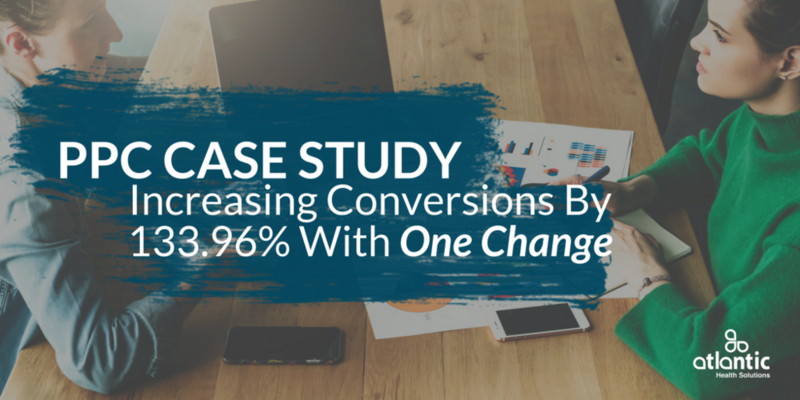 Basically, this method is more concerned with conversion volume rather than investment goals which is right up our client's alley. Typically, we run our experiments for two weeks or so in order to gather enough data to make a decision. However, we cut this experiment short because the proof was in the pudding - Maximize Conversions bidding method beat Enhanced CPC by a landslide! Now that is what we call a successful experiment! By testing out a new bidding method, we were able to capitalize on a gold mine. The new bidding method won by a landslide - we have seen a $46 drop in cost/conversion, $3.00 decrease in cost per click, and 31 additional conversions month over month. Maximize Conversions lowered our usual CPC of $5.00+ to anywhere from $1.50 - $2.50 per click. This resulted in a drop in our paid position and CTR (we’re appearing 2nd or 3rd now), but a major influx of clicks as our budget was able to support MORE clicks. 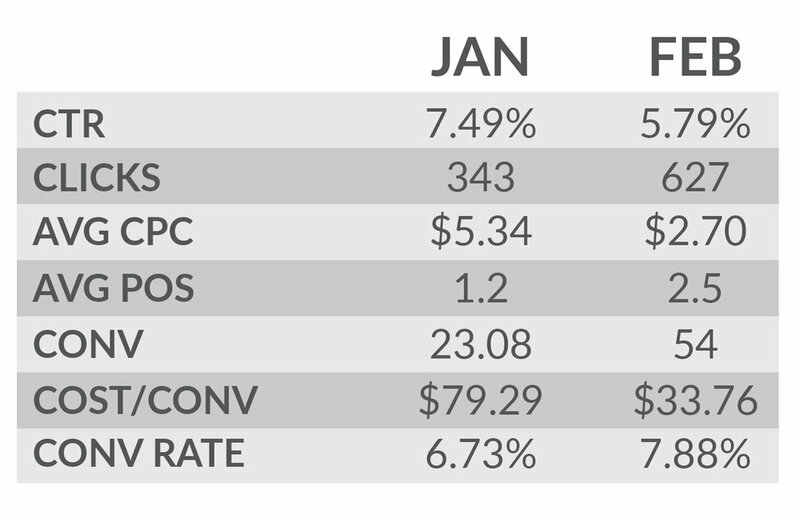 Although we sacrificed being at the top of the paid rankings, we are doing so much better by lowering our CPC, lowering our cost/conversion, and increase the number of people visiting our site. SUCCESS! Read through some of our other case studies to discover more Google AdWords tips from our PPC management team. If you're wanting to see your campaign experience success as mentioned above, schedule a free consultation with our Director of Marketing, Sara McFarland, and discuss how Atlantic Health Solutions can integrate seamlessly into your business.